It has been the trend of late to roll out eye catching statements with portable amps from big companies who are preferring to roll DAC’s and amps into combo units and pitch them as your smartphone or iGadget companion. However, every now and then a darn good old school portable analog amp comes out that actually is very much worth buying. ALO Audio, Mass Kobo, Cypher Labs and Bakoon all had excellent units out. Ibasso are just such a name year after year for excellent amps at affordable prices. 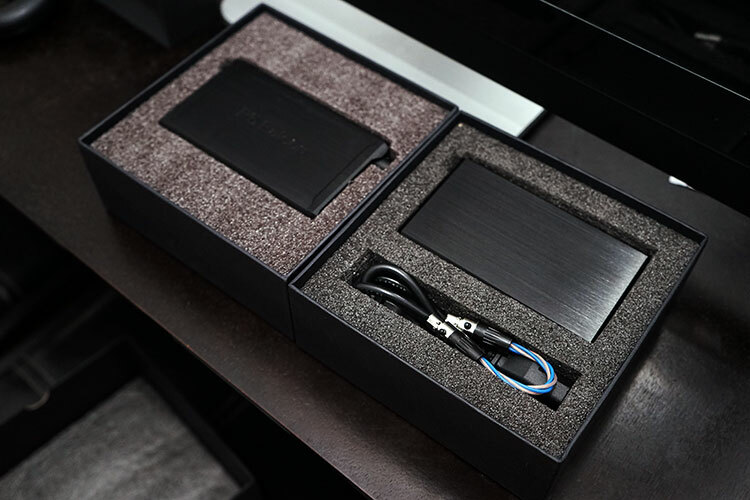 Around the last quarter of 2015, Ibasso approached me and asked if I would be interested in reviewing their latest amp offering the P5 Falcon portable analog amp. Chiming in at $529 this is iBasso’s most ambitious amp offering to date and it is not hard to understand why after spending a few months putting it through its paces. Yes the DX series is grabbing all the mainstream headlines right now; a DAP with a touchscreen at a very seductive price will always get the fingers twitching but those who have been with iBasso from the beginning will know that the company really enjoyed putting out featured packed portable amps that sound really rather good. The P5 Falcon actually reminds me a lot of the highly regarding Triad Audio Lisa project in form and function because not only is it a portable amp but also a mini desktop amp solution with an accompanying PS power unit that slots in right underneath and does not require the P5 to be loaded with any accompanying battery for power as a result. The pitch here from Ibasso is all too clear. Not only should the P5 be a solid choice for portability but also the guys seem confident enough to place the P5 at the heart of any desktop setup also. Meaning, in my eyes, this solution should be able to work with both IEM’s and a decent set of cans. A PSU should also go some way to producing a cleaner supply of power to the P5 when it is in desktop mode and avoid inevitable run down time from having a purely battery dependent supply of power and the constant need to charge those batteries. In short, the P5 is setup to be able to offer unlimited playback time as a desktop and a battery dependent portable option for the main unit itself. Additionally, the P5 is setup, like many other iBasso amps, to be rollable. That means opamps and buffers can be swapped out or changed to create new flavors of sound much like you would change tubes in a tube amp. It is one of the major selling points of some of the iBasso amps and I am glad they kept that feature for the P5. In days gone by you would have to open up the iBasso amp just to adjust the gain setting but thankfully this time they opted to put the gain adjustment on the outside of the amp and keep the inside just for rolling making the P5 a very consumer and enthusiast friendly piece of kit. iBasso analog amps have always been well build but solidly old school rectangular in shape and whilst the P5 still retains a broadly rectangular form factor it is perhaps one of the best sculpted ones out there to date. Certainly in the iBasso portable amp range there is nothing that comes close to the stealth like clean cut lines and angles of the P5. This is a man’s amp with an eye for style and whilst the likes of Sony have perhaps been the most adventurous with their PHA series design lines I find the Falcon to be just that bit more mature looking and built like a tank with its CNC finished metal enclosure. The Falcon sure looks like it could take a bit of a beating before anything drops off it. Size wise it is not the smallest of form factors and a lot bigger than the RX or Piccolo portable analog amps. It is more in line with the size and dimensions of the Cypher Labs Duet and the Sony PHA-1 when stacked on top of each other. Technically the PHA-1 is smaller than the P5 but for the front guard which sticks out by almost 1cm. The P5 is also wider by around 5mm than the PHA-1 though both have roughly the same height. It is also almost exactly the same length and width as the Mass Kobo 395 and only slightly shorter in height. So lets term this as a large portable amp rather than a small transportable. All input and output functionality including gain and pot control is housed at the front of the P5. Now this is where I do have a very slight issue with the build of the amp and it’s the length of the switches for power, bass and gain. Now if the objective it to shield them from inadvertent knocks then objective achieved but they are also very resistant to movement and a bit short. The power switch itself is housed on the very far left side of the P5 recessed front panel. Now its comes very close to that side and for a large fingered dude like me it takes just a little bit of fiddling to get at it and successfully push the power button up to power it on. The click is loud and reassuring but I think the resistance could have been eased up a bit for a more fluid up and down movement. The bass and gain switches are to the immediate left of the volume pot and these are even less visible meaning you really have to sweep your finger pad across the metal plate to catch it and move it up or down. Thankfully these have less resistance and are much easier to manipulate. The bass switch has two gain positions, high and low denoted by a white disk large and white disk small labelling scheme just to the right. That same scheme of disks is used to denote high, medium and low on the gain switch though low is the middle setting, medium is top and high is bottom. In between the switch arrays are two gold plated input sockets for the line in and jack out. Both are single entry 3.5mm jacks; no 2.5mm business here so balanced outputs are not available. The back is a simpler affair with a single DC input and a rather large hand controlled screw which allows you to unfasten the back and slide off the top of the P5 to insert 9V batteries of your choice and play around with the buffers and opamps. The chassis itself is actually two halves put rather smartly together with a very low profile seam that runs continuous with the design lines of the amp itself and certainly one of the easiest I have worked with in terms of sliding on and off. The P5 packs a decent power rating of around 660mW in battery mode and more powerful 1W into 32 ohms using the P5 PS DC power supply. If you want to go planar mode I would suggest using the PS to get the most out of your P5 setup. Having said that output impedance is less than 1 ohm and SNR is a healthy 121DB so sensitivity is not an issue for matching for most IEMs. 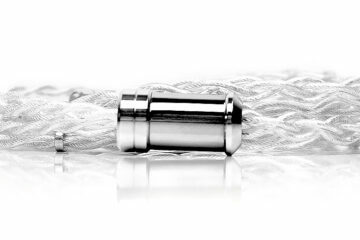 TI’s OPA627’s are very highly regarded and have been around a while and are not for their excellent staging properties and accurate and pleasing instrumental timbre reproduction. The BUF634 when thrown in with the OPA627 produces some excellent THD ratings also, up to 0.0001% all being well. Both are recognized bed buddies and do very well indeed in producing low noise performances on decent output current so it is a proven combination especially in the DIY kit world. It’s the eye catching add on in the pics and perhaps the additional unit that made me sit up and pay attention. 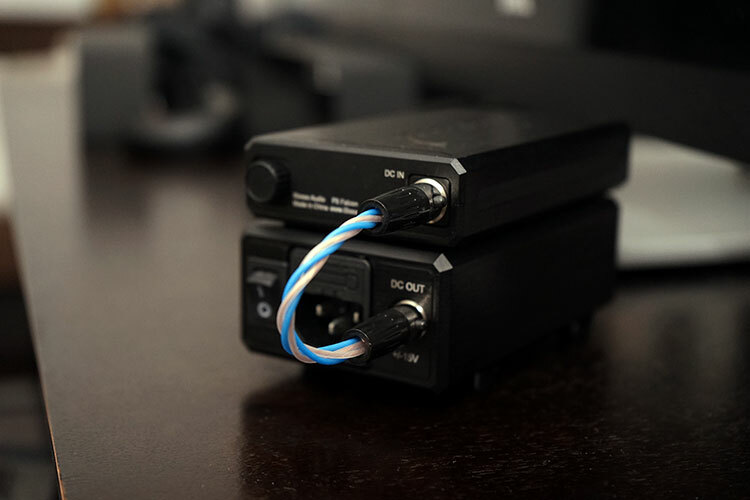 The PS additional power supply is essentially an enclosed toroid transformer linked to a pc board allowing incoming power from whatever source such as a wall wart to be converted into a steady DC supply into the main P5 amplifier. Thus the P5 can be driven without the need for batteries in a stacking desktop format. More than that, connected to the PS the P5 output gain increases from 660mW on batteries to an excellent 1k mW into 32 ohms on the PS supply. That gives it desktop class output for the everyone’s favorite hard to drive headphone such as the majority of planars and higher rated dynamics. Selecting your batteries will have an impact on how you can use the PS unit. If you opt for 9V NI-MH rechargeable batteries well the good news is you can indeed charge them via the PS supply whilst still operating and using the Falcon. Sadly, the same cannot be said if you opt for li-poly batteries which need to be taken out during use of the PS. How long those batteries last will ultimately depend on the type of 9v you insert. Some will grab some high rated 600+ mAh and get plenty, some, like me, will save a bit and grab a more modest 300mAh Fujicell variants and get about 6-8 hours max without the PS. Do you think it’s reasonable for me to use this with Aurisonics Forte? Or is it a bit too overpwering? If it does, is there any AMP that is compatible for such IEMs? I have not used the Forte but given the Jupiter and SE846 had no issues it would safe to assume neither will the Forte. Other amps to consider are the ALO Audio new RX which is specifically for IEM’s and the Cypher Labs Picollo. They are cheaper. When the review of dx80? How compared with Cloud Nine? Well written review, as always. How do you think this compares, sonic quality-wise, to the Mojo? I currently use the D14 from iBasso and was looking at the Mojo as an upgrade. Mojo review up next and will compare to the D14 but the P5 is purely an amp and its not OTG so there are some quick comparisons right there to think about. do you think that the p5 would add a little more meat to the bones if slotted between the LCDX and a mojo? 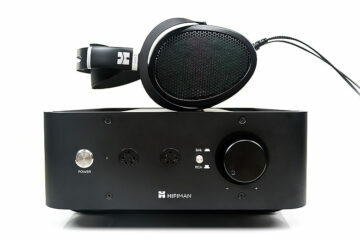 Also between the hd650 and mojo? both goes plenty loud for me but they seem to lack some “meat”. I dont think the P5 will get you a significant upgrade, I mean it will sound great but not significant for an LCD-X. I would actually just spend about $100 and buy a Mjolnir amp from Schiit which is significant. By the way neither the P5 or Mjolnir have DAC’s in them. Read the Mojo review, used the Mojo for review myself for about 2 weeks (back in April), and really liked it. But didn’t buy it though, as I had to upgrade IEMs (bought the RHA T20) and also bought the Plenue D DAP recently, so didn’t have immediate budget, or (enough) desire to buy Mojo. So I’m back to the P5 Falcon; in fact, I’ve already committed to a unit from the first batch to be imported by the dealer here in India. Now your comment here on the P5 not being a significant upgrade when used with the Mojo to connect the LCD-X has me interested; I intent to add the P5 to my iBasso D14, and use the Fidelio X2 headphones. Do you think this will be a good upgrade to the stock D14 DAC+amp sound? I used the iFi Micro iCan with the Fidelio X2’s recently (added to the D14 of course) and found that to be super likeable; so hoping that the Falcon, added to the D14 will give me a similar, if not better, combination overall (purely in terms of sound quality alone).